Have you ever played snake game before? 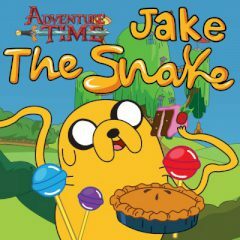 This time Jake has turned into a snake and needs your help to find all food. Take control and have fun! Jake is ready to have fun with you. Just take control of a Jack snake... Wait, what? Yes, indeed, Jack has turned into a snake and needs your help to complete the game. Take control of him and get points!